How do you use aloe vera gel or juice on your hair? 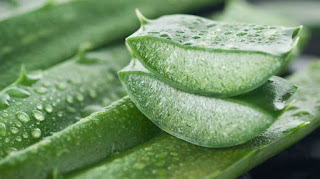 Aloe vera is known as a mild cleanser. In the water only wash regimen, the gel is said to gently clear excess sebum. After relaxed application, use the aloe vera on your scalp. The water in the Aloe plant is considered to be very moisturizing and thus a lot of ladies, both natural and relaxed, use it as their moisturizer. Here's how to make yours. If you want a natural leave in, look no further. The Aloe vera gel or juice can serve as a leave in too. In fact, a lot of commercial products make use of it - from shampoo to deep conditioner! It's seen as a humectant that is pulling moisture into the hair and so you have a great natural leave in so long as you know the time your weather won't favour Humectants. Hair Spritz: All you need is to mix a bit of aloe vera gel, a few drops of essential oil, some carrier oil like olive oil and water in a spray bottle. Use this when you feel your hair needs quick moisture. Detangler: The aloe vera gel has a decent amount of slip to help untangle knots after braids or before washing your hair. Clay treatment: You can mix of clay with aloe vera and apple cider vinegar as a mask for your hair. This infuses moisture into your hair. How do you use your aloe vera gel? I use aloe vera gel with castor oil for my hair and trust me it's the best remedy to grow hair faster. just take 2 table spoon of aloe vera gel and 2 table spoon of castor oil, mix it well then apply to your hair. leave it for 30 mints and then wash it off.